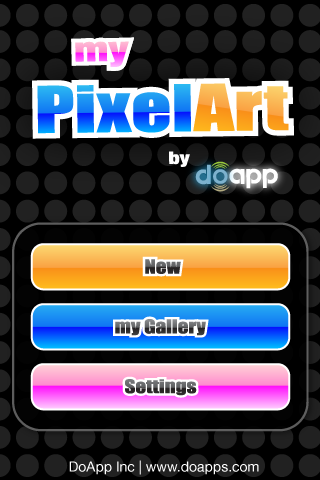 myPixelArt is an application that reminds me of the Lite-Brite I loved as a kid…only iPhone style! When you open the application, you will see three options; New, myGallery and Settings. In the Settings, you are able to turn the sound on/off, learn more about the application and get help using the app. To get started, select New. Aquarium is an application that will turn your iPhone or iPod Touch into an “aquarium.” When you install the app, it will be added into WinterBoard where it can then be activated/deactivated. If you activate the application, it will add a wallpaper to your iPhone that looks like the bottom of the Ocean. It will also add little swimming fish behind your icons on your SpringBoard. The fish are a little glitchy in their movement but, the app does not seem to affect the actual performance of the iPhone. This little application is available through the Ranbee source. 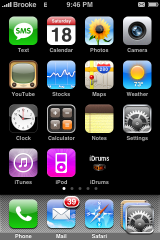 iMood is a simple application that allows you to create scrolling banners or just display an emoticon message on your iPhone or iPod Touch’s screen. iMood opens to the main page in which you have two options; Moods or Chat. The Moods option allows you to select a mood from a list of options (Happy, Sad, Love, Awake, Laughing…etc). Once you have selected a mood, you can then type in a message. When you select Show, it will display the emoticon for the mood you chose and your message on your device’s screen. To get back to the edit page, just tap Back. 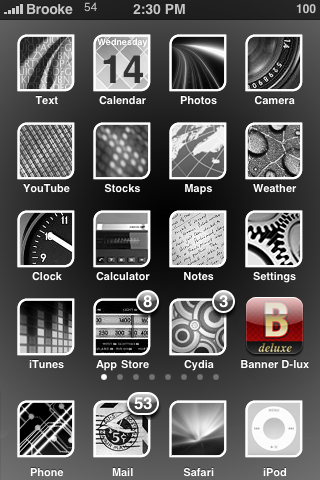 A few days ago I did a review of Banner Deluxe, a scrolling message application. Later that same day, Banner Deluxe was updated and added the one feature that I thought the application needed (save settings when closing and reopening the application) and also added a very cool feature that I hadn’t even thought of. You are now able to make your own custom backdrop!! The app allows you to choose any image from your Photo Albums to use as your backdrop making the message even more customizable! In light of the pretty cool update below are two promo code…the first two people to redeem them, may have them. 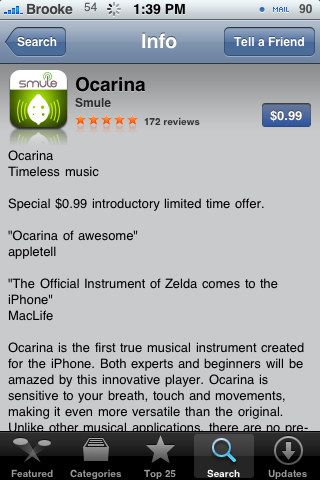 You can redeem them using iTunes on your computer or iTunes on your iPhone or iPod Touch. Please let us know in the comments if you redeemed the codes that way everyone knows that they have been used. I will be honest, when I read the title of this application I said to myself…Here we go, another “toy” application that probably has a bad design and a horrible user interface. However, I was pleasantly surprised from the moment I opened the application! 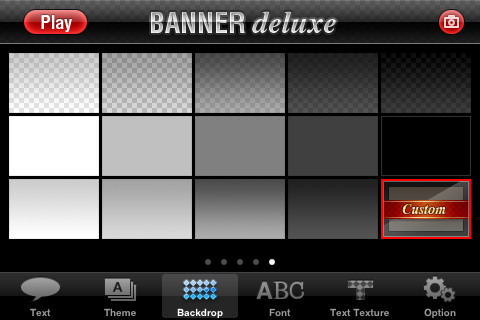 Banner Deluxe is an application that allows you to create scrolling banners for your iPhone or iPod Touch. The developer sent us 6 free promo codes to give away to our readers. All you have to do is let us know you’d like a free download code for eShaver in the comments and the first 6 will get them. Just make sure you use your email address in the field when entering the comment. Cracked Screen is an application that will make your iPhone or iPod Touch look as though it has a cracked (broken) screen…similar to the application Cracks that was available for firmware 1.1.4 and below). When you launch Cracked Screen, you will get a main application page with instructions on how to used the application. 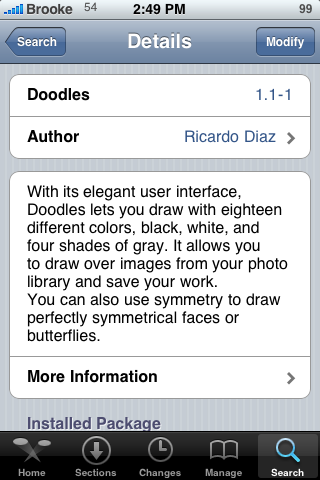 I do not normally write about updates to applications but, I was impressed with how quickly an update for Doodles was released and with the features it fixed/changed! 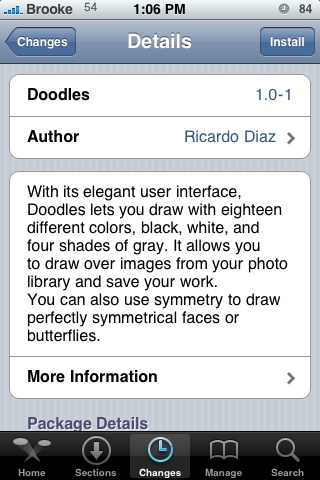 Doodles is a simple drawing application that is available in Cydia via the iSpazio source. When you first open the application you will get a white page with a lower menu bar…this is actually the main drawing page of the application. The options on the lower menu bar are (left to right); Save, Background Options, Line Options, Symmetry Options and Erase. 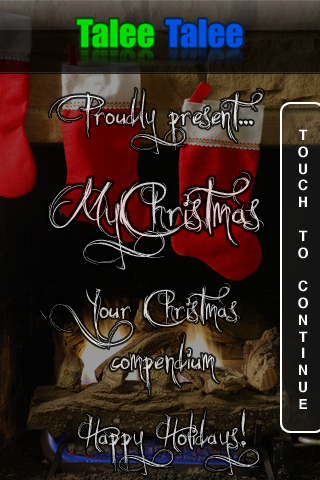 MyChristmas – A Christmas Collection of Games, Music & More! 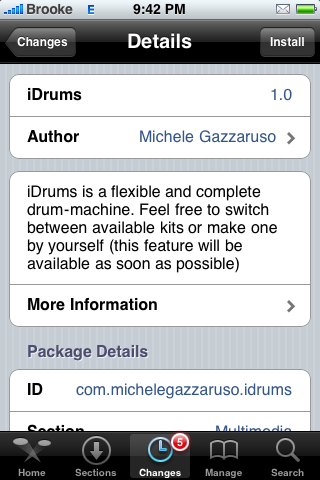 iDrums is a drum simulation application. 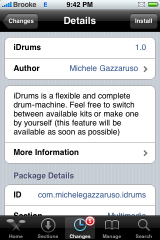 Once installed and opened, it displays a basic drum set. 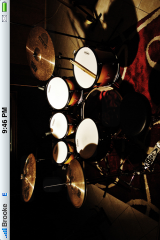 You can then tap the drums and symbols to get a audio simulation of that instrument. The sound is actually pretty decent. Though, I have no idea how to play drums so those of you who do will have to let me know if they really sound good or not!